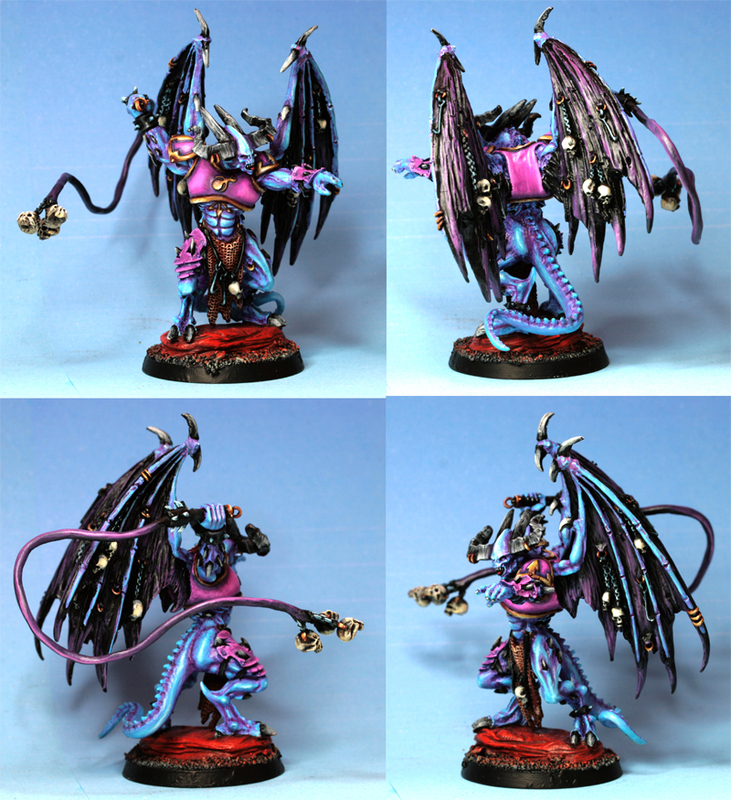 I entered this guy in the TO perils of the warp comp and ended up in second place. 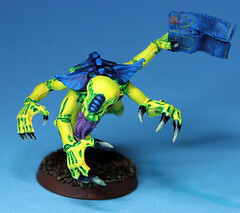 It's a belakor model my friend asked me to convert into a 40k daemon prince. I greenstuffed the chestplate and used some marauder shoulderpads that fit perfectly. I figured since it is a lash prince a whip would be the perfect cc weapon for him. Anyways, here are some pics. I somehow messed up the comp pics and they ended up way smaller than I figured they would, but these should be better(not that I blame the pics for not winning, the winner totally deserved it with an awesome paintjob). Hope you like, c&c welcome!